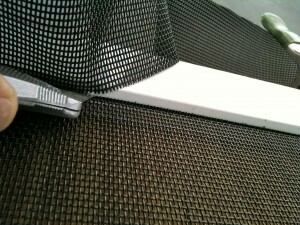 When you have problems with you sliding patio screen doors in Agoura Hills I’m the perfect mobile screen company to call because I give free estimates, I have been in the screen door installation business for many years and only,custom make the best sliding screens that are guaranteed for 10 years. Have you been fighting you patio screen to get in and out of your house? I measure and I make quality aluminum screen doors. They have metal hardware parts and have a metal lock type security latch. All of my customers are very happy with my screen repair and insect screen door sliders and refer more work all the time. Call me to see the samples I carry and see for yourself how good they are made and slide. Agoura Hills has been one of my favorite mobile screen areas and I have dome many screen door replacement jobs there.